South African aeronautical company Aerosud on Tuesday formally unveiled its first complete, manned aircraft design, called Ahrlac, for Advanced High-Performance Reconnaissance Light Aircraft. The company notes that apart from some light sport aircraft, this is also the first all-South African manned aircraft design since the Denel Rooivalk attack helicopter, which was conceived 26 years ago. The company claims significant interest, and says it expects to fly the prototype next year. Wind tunnel testing has been completed and 80 flights completed on a quarter-scale model. Construction is described as mostly metal with composite fairings, and the company says great effort has been put into cost-effective manufacturing to keep the price down. 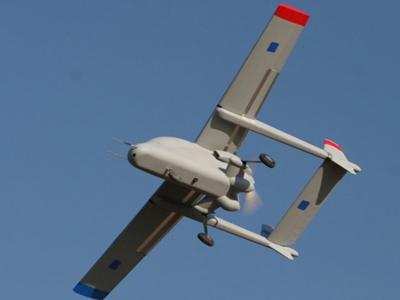 In the development of the Ahrlac, Aerosud has had the support of South African land defense systems company Paramount, which holds 19% of the aeronautical enterprise. The companies have not divulged the cost of the Ahrlach project. Paramount Executive Chairman Ivor Ichikowitz commented, “This is a big project. We were under no illusions – it was going to need a lot of cash. The project is fully funded to the first flight and beyond. For a production capacity of two-three aircraft a month, we have no issues. We hope to start production next year." Ichowitz expects the plane to sell for under $10 million, and appeal to a wide range of military, paramilitary, policing and civilian tasks and missions. It is designed with a pod which is mission-specific, and aerodynamically integrated into the bottom of the fuselage. Users can simply switch the pod to switch the role. Pods can be configured to carry sensors, electronics, weapons and even supplies which could be dropped by parachute. The aircraft will also have six underwing hardpoints, to carry weapons. Two of these hardpoints will also be fitted to carry external fuel tanks. It will also be able to carry a 20 mm cannon, and can be fitted with ejection seats. The Ahrlac is a high-wing, pusher turboprop. Aerosud expects a cruising speed of 300 knots, a payload of more than 800 kg (1,760 lb. ), and a range (on internal fuel) of 1,150 nautical miles. It is designed to be highly maneuverable and to operate from short and unprepared airstrips, with a takeoff distance of 550 m (1,8-00 feet) with full payload. The Ahrlac is intended for missions such as border security, coastal patrol, internal security, environmental protection, disaster management, as well as defense missions such as reconnaissance, surveillance and light attack. The Ahrlac project has not received any government funding.